In “Upgrade Your Eyewear Product Mix with Computer Glasses,” we demonstrated that upgrading the eyewear product mix offers the highest potential return of any practice improvement initiative that most independent ECPs might undertake. This is true because eyewear is the dominant revenue source in nearly all practices, is purchased by 80 percent, or more of patients, and in most practices, the eyewear sales mix has not yet been optimized. There is a very wide range in the average eyewear sale among independents, which is not explained by differences in patient demographics. According to data from the Management & Business Academy, the 10 percent of practices with the highest average eyewear sale realize revenue per pair 70 percent higher than the median practice, while practices in the bottom 20 percent realize an average eyewear sale 35 percent below the median. 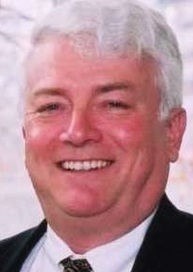 Most practices have an opportunity to improve their average eyewear sale by 20 percent, or more, with a focused effort. Beyond the immediate financial benefits of improving the sales mix, providing patients with superior eyewear solutions can help preserve vision and improve acuity and comfort. Providing these benefits increases patient satisfaction and loyalty. 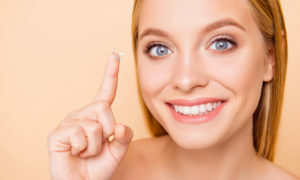 A practice which offers high performance technology enhances its reputation among patients and often reduces the purchase interval between eyewear purchases. The Vision Council’s Vision Watch consumer surveys show that ophthalmic lenses account for 57 percent of total eyewear sales revenue among independent ECPs. Upgrading the lens mix should be a priority focus in any initiative to improve the average eyewear sale. The steady growth in consumer use of digital devices has created growing interest among ECPs in reducing the amount of blue light that reaches patients’ retinas. Most ECPs recommend lenses that block blue light to some patients. But doing so is not yet regarded as a standard of care because the long-term effects of excessive exposure to blue light have not been clinically proven. A 2016 Jobson “Blue Light ECP Study” indicates that most ECPs have a basic understanding of the potential risks associated with blue light exposure, but only 20 percent consider themselves “very familiar” with the harmful effects. A 2014 Vision Council survey suggested that consumer awareness and usage of blue light lenses is low. Seventy-three percent of eyeglass wearers said they were unaware of such lenses, and just 5 percent indicated current usage. Yet 83 percent said they would be willing to try such lenses. It is clear that ECPs need to educate patients about the potential long-term risks associated with excessive exposure to blue light and about the options available to reduce exposure. The frequency of usage of digital devices varies widely across the population. 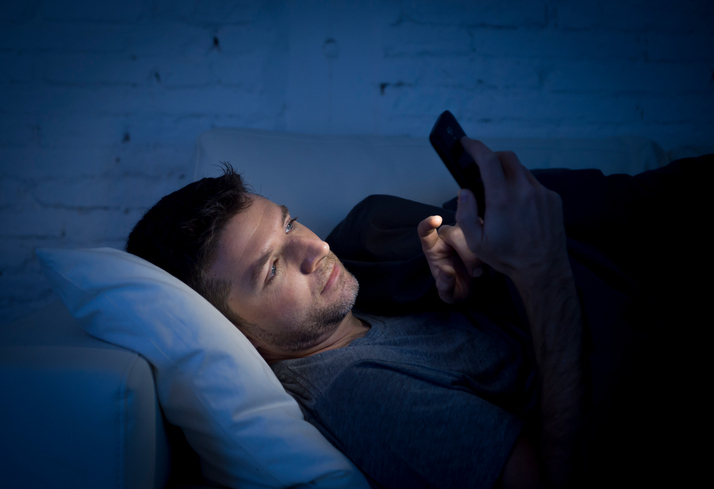 Based on current clinical evidence, it is not clear that people with low levels of exposure to blue light emitted by digital devices incur significant risk of long-term damage to their retinas. However, 30 percent of the adult population uses digital devices for nine hours, or more, daily, and would seem to be at higher risk of suffering cumulative damage. 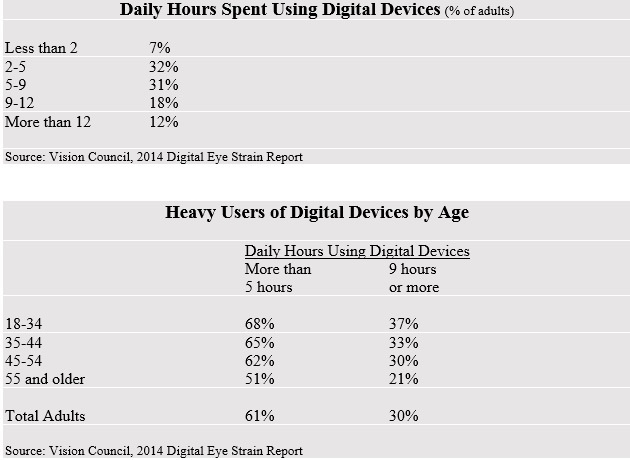 The heaviest users of digital devices tend to be younger. Inasmuch as blue light may induce temporary eye strain, apart from any cumulative effects, blocking blue light has potential to alleviate symptoms causing temporary discomfort. Reducing exposure to blue light of patients more prone to suffer from macular degeneration is a prudent preventative measure. Removal of the natural lens in cataract patients allows more blue light to reach the retina, increasing the risk of damage. 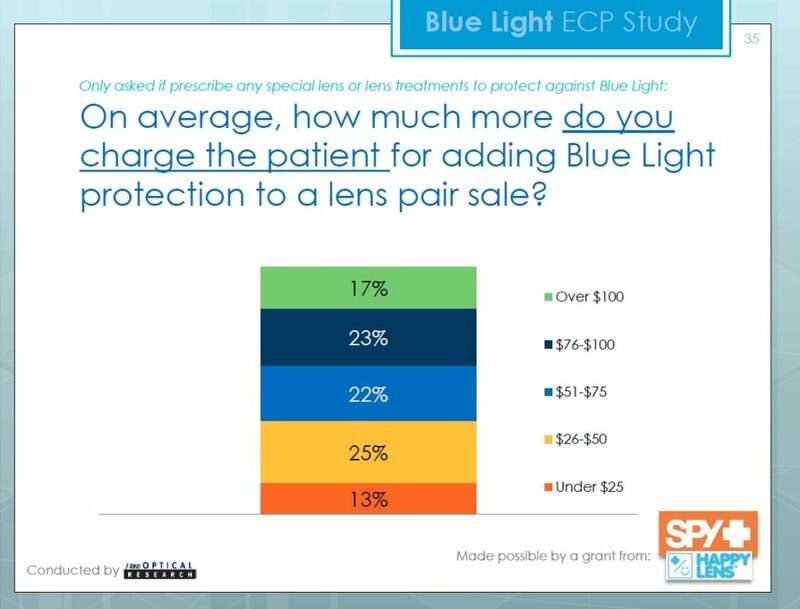 Blue light lenses are generally premium priced, and increasing their proportion of the eyewear sales mix will increase revenue and gross profit per patient. 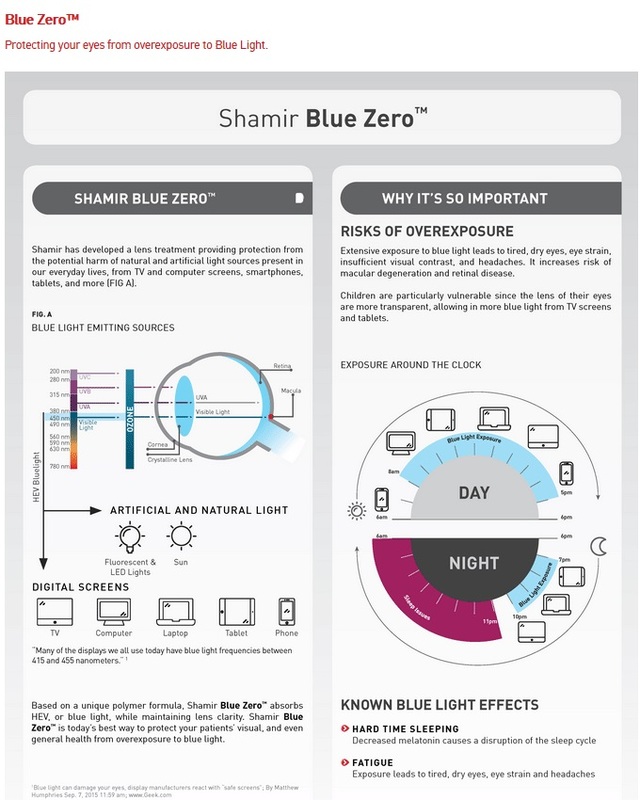 To present blue light lenses effectively, staff must be knowledgeable about the features and benefits of these products. Continuing education seminars and presentations by lens sales reps can be helpful. New scientific research about the harmful effects of blue light regularly appears, so it is important to keep up-to-date. The extent of a patient’s usage of digital devices has become an important definer of a patient’s daily vision environment and provides one measure of their risk of over-exposure to blue light. Every patient should be asked how many hours a day they use a desktop or laptop computer, tablet or smartphone. Any patient who uses digital devices for nine, or more, hours daily may benefit the most from blocking blue light. Determine the current revenue contribution of blue light lenses to overall eyewear sales, then set quarterly goals for the next 12 months and share with the staff. At least monthly, share performance results and discuss with staff. Many patients do not understand how blue light lenses might prevent retinal damage or how the lenses work. To assure consistent patient communication, it’s best to use standard, benefit-oriented messages about blue light lenses, that avoid jargon and technical detail. The scripts provide a foundation that individual staff members can use to craft their own presentations about blue light lenses. 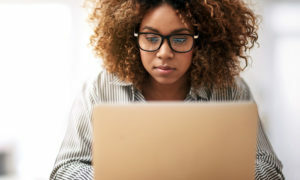 Many patients who are constant users of digital devices are not aware of blue light lenses, yet suffer through the symptoms of digital eye strain, and face some long-term risk of retinal damage. Once aware of this lens type, many will be interested in trying blue light lenses. All of the communication vehicles used by the practice can educate patients about blue light lenses.